The process of plastering walls has been used in building construction and renovation for hundreds of years. The method of using backing plaster with a skim coat is today generally only used for property renovation as new build houses typically use plasterboard for dry lining walls. One of the most common reasons for carrying out plastering work in old houses during renovation is to complete a course of damp proof treatment. 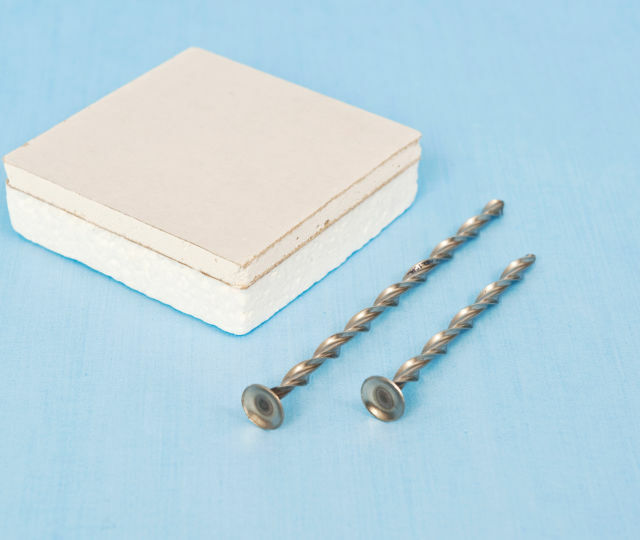 Whether one is treating rising damp or waterproofing basement walls the direct bonding of plasterboard on walls prone to dampness should be avoided unless an air-gap membrane is used to create a physical barrier between the wall and the plasterboard. When plastering after the insertion of a new damp course it is important to use either a renovating plaster mix that has been specially formulated for the purpose or, if using backing render with a skim coat, a waterproofing admixture that permits evaporation of water vapour but inhibits the movement of salts. Waterproof plastering, used for example to hold back dampness in below ground areas, basements and cellars, is more commonly referred to as tanking. Tanking slurry is generally sandwiched between a dense render coat and top coat of renovating plaster. Use a fully sealed cavity drain membrane system and either plaster, dot and dab or dry line on top (drainage may be required).